David Scott Norton: Welcome to the Local Music Show where we discuss how to make a living in the local music industry. We bring together venues, artists, service professionals, and music fans into one show that has something for anyone who wants to contribute to the local music scene. I’m your host, David Scott Norton. Sit back, relax, grab your favorite beverage, and chat with us about what’s happening in your local music community. Today, I have with me from Community Radio 89.9 FM in Maine WERU Music Director and Business Manager Denis Howard. He’s also the owner of The Opera House video store in Belfast, Maine. Welcome to the show, Denis. Denis Howard: Thanks, David. Thanks for having me. Thanks for inviting me. David: Oh, you’re very welcome. I’m glad to have you on. 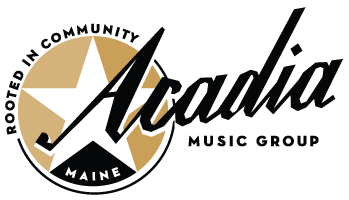 So today we talk about the local music community, and what better person to talk to than the director of community radio here in Maine. So we have a few questions for you, if you wouldn’t mind. Just in general, tell us about yourself. How did you get involved in community radio and the local music scene? Denis: But I heard Disc Jockeys introducing songs or coming out of a set of songs, talking, and just being social on the air. I don’t know how many kids in first grade go to their friends houses, grab record players and their older brother’s vinyl collection, and were at six and seven years old playing Boston, ELO, Kiss, Foreigner, and back announcing the songs that we just recorded onto cassette tapes. So I think early on there was this love of radio and being a DJ, and I applied in high school at a commercial radio station which at that point was an FM station in my town which was huge. I remember they hired my friend who went with me because he wrote “Fun Fun Fun! !” with exclamation points on the phone message and I just wrote my name and phone number. Denis: So I got a hint then that you might have to show some enthusiasm for what your doing when you apply. So I got to college and immediately started working at my campus radio station as a first year student within the first few months as just an overnight disc jockey. Very quickly, you learned that you might have the midnight to 3 AM show, but maybe the 3 to 6 AM show guy won’t show up, and then the 6 to 8 AM guy won’t show up. So my first on-air at a radio station went 8 hours, and it was all overnight that very first shift. I realized at that point that I loved being on the air. Even though there was no guarantee anybody was listening, there was something to playing music, looking around a studio, and being told as I took over at midnight from the DJ before me the music director said, “What are you going to play first? I’ll load your first song because you’ve never done this before.” And I remember I had my personal collection or my roommates collection of CDs. And I said, “Oh, here’s Genesis - Invisible Touch. Let’s play Invisible Touch.” because I was coming at radio from the way most of us thought about radio in the early 90s. You played the hits. I thought that made me a very knowledgeable disc jockey, and immediately, in that second everything changed when the music director said, “Oh that is the big hit, but what song do you want to play on the air?” I remember thinking, “Well, I’m only supposed to play the hits, not the album cuts.” And she said, “No no no, this is college radio. People want to hear something different.” Something in that moment galvanized me, and as I said that first 8 hour shift which was supposed to be 3 hours and was all overnight I realized I could grab any CDs in that radio station studio and play anything. Something about that lit a fire, and I spent way too much time at that radio station during 4 years of college. I realized that where the campus station would turn off during finals week or Christmas break or especially Summer break the college station would just turn off. Something about that troubled me because it reached 18 miles around the Lewiston, Auburn, and as we joked sometimes Gray area. It seemed to me not to really treat the listeners with a lot of respect because these people listening off-campus would get interested in a show or the new music, and then you turn it off everytime the campus wasn’t in full session. That seemed wrong. So, with the help of some other students at the time, I appealed to the President of the college and said, “We really need to let Lewiston, Auburn, and local residents come in and do shows when campus students aren’t available to host the shows.” Back then, in 1992, Bates College didn’t really view the Lewiston community with wide open arms. There was a divide, that’s not there today I don’t think, between the campus and the community. So, in any case, after much pleading and an experiment of Summer ‘92 opening it up to the community, we found a way to make my campus radio station work as a college radio station while opening it up to the community. Something about that, attracting high-school students to do shows, or senior citizens who had been state representatives and loved French music, something about that I found incredibly appealing. It obviously took a lot of time away from studies, but it became the focus and the love. I remember finishing college and realizing that it would be nice to continue radio. I immediately was hired by a commercial FM light rock station in Camden, Maine which I found ironic that my first job after college was bringing me right back to the area I was from, but I took it because it was a solid offer. I was waiting to hear back from Rutland, Vermont, and I’ve always thought that if I’d taken that job my whole life would have been different. But the Camden light rock station brough me right back to my home town. So, around friends and family, and here I am 25 years later. But what I learned early on after getting to commercial radio, after the freedom of community radio and college radio where you trusted that anybody had something to say when the sidled up the microphone and they were choosing their own music, very quickly it became apparent to me that there was a very limited selection on that light rock station which doesn’t exist anymore, but it was located in downtown Camden. The older tracks you heard everyday once and sometimes even twice, and the current tracks which at that time were Michael Bolton, Mariah Carey, Kenny G they were played every 2 hours and 20 minutes. Even working for the station, very quickly I realized how different commercial radio was from what I had just spent 4 years doing. During that time, I’d been the Public Relations Director and the Music Director when the Music Director went home for the Summer. I was General Manager for a couple years. So I ended up doing a lot of the jobs, and in commercial radio I saw how many people worked there, but most of us were also selling radio ads. That was the true focus of the radio station. There was some on-air talent, and I was lucky enough to get to do some on-air work with remotes, but I realized that it wasn’t as fulfilling. So right about that time, shortly after I arrived there, there was a new commercial radio station coming to the Searsport Belfast area, and they hired me away form that light rock station. And just the way the world works, I was young, I was inexperienced, and I left without giving notice at the first station. When they found out I was going to another station they threatened to sue me. So basically I had signed a noncompete clause after I’d already been working there a while, and I was barred from radio, newspapers, and television for something like 6 years or something. I couldn’t work within a hundred miles of Camden. So it changed my life. I didn’t do radio for quite some time. And just the way these things work, I always believed this was meant to happen, I was working at a screen printing and embroidering company in Belfast that also doesn’t exist anymore, and [the person] who was then the underwriting manager at WERU was inquiring about trading on-air spots for embroidered hats. And nobody at the company wanted to deal with custom orders. We had our own catalogue designs, and doing individual work for people seemed like a hassle and not a lucrative line of work. We’d rather print shirts sold at L.L. Bean or in catalogues. We didn’t really deal with locals, but I wanted to. So I met the WERU underwriting manager. We went to lunch, and as we talked I let it slip that I had done radio for 4 years and was really missing it. He revealed that WERU had just moved from Bluehill to East Orland, and the 35 minute drive from Belfast seemed better than an hour drive to volunteer. He stayed on me. He would call me and tell me when the next training was. He got me over to WERU to volunteer. So 21 years ago, I started volunteering and immediately started applying for paid work. Whenever a development director position opened up, I would apply. I didn’t get it the first time. They hired a guy who ran a law firm, but when he left 11 months later I slid into the development director position. This is 19 years ago now. Immediately, I became a member of a very small, dedicated paid staff. So at Community Radio I suddenly met the larger group, not just the DJs before and after me. I met 300 active volunteers, 60 of them on the air. Immediately, I realized, “These DJs love a genre. They’re playing new music nobody’s heard. They’re playing favorites people haven’t heard in years. They’re playing deep album cuts. They take requests,” and best of all and this, after a long story relates back to what you asked about, “They played local music.” I would hear people on the airwaves that were from Maine or lived in Maine. That changed everything, knowing that we had the ability to play an artist right next to somebody a little more famous, it could be the next song. And maybe somebody tuning in for their beloved Shemekia Copeland cut or their Ryan Adams song, suddenly they’re hearing somebody from Rockland, Maine who does honky-tonk music. David: Right right. That is awesome. So that’s a lot to unpack there, I guess. David: Some of the things I was taking notes of when you were talking. It sounds like you were one of the first community radio pioneers in Maine when you got the college to expand their shows to the community. Denis: And I would never have thought that because I know that some community radio stations started, WERU started 30 years ago I think some others have been around longer, but when you do look back at the timing of it I do think that some stations had already begun. WERU had started in 1988. So they’d been on the air about 4 years before I came up with this idea. Now, I cannot remember the exact conversation or divine spark that did it, and it may have been in conversations with other students at the campus too who were involved in radio and thought it was a shame. They loved doing their weekly show and thought it was a shame every time the campus approached finals or midterms or Thanksgiving week off. We just felt it was a shame. You’d just get people excited to do a show and then we were off the air and then back on for a month and then off. So it may not have been my original idea, but I was part of a group of a few people that really pushed for it. Looking back now, perhaps we were some of the first campus students to bring in people from the local community to do radio at a pre-existing station that already had a license and already had a group of people running it but inviting community members to do shows. I think you might be right. I’ve never thought of it. Somebody told me there was a Wikipedia entry for my campus radio station and that I’m mentioned there with somebody else for starting it, so you might be right. Denis: I didn’t ever think of that. David: Well, I think the moral for people listening who want to say, “You know, I’d love to do something. I’d love to DJ. I’d love to get in there, but how do I do it?” It sounds like you just do it. Denis: Look at the low-power FMs in Rockland and Belfast. They have sprung up, and there’s some in Rangeley I think. There are low-power FMs in addition to the 300 college and community radio stations all around the country. It usually takes that person willing to put themselves on the line or just make it happen. It’s a lot of unpaid hard work, but if you love what you’re doing, like any profession, you can sometimes make great things happen. David: Right right. So there’s many opportunities out there it seems like. With the low-power everybody complains about the digital DirecTV now. The digital signal, you know, took away your TV antenna, but what people don’t really understand is that that freed up a lot of bandwidth on the FM signal, and now you can get an FM signal pretty easily relative to the past. Denis: I think when WERU went on the air actually, in certain communities, our audio would interfere with people watching Magnum P.I. back in the late 80s. David: Oh, I’ve heard about that. Denis: Yeah the FM frequency, we’d have to have one of our volunteers who’s still here would volunteer to go out to their houses and work on their roof with an antenna making sure that it would block WERU’s signal so that they could actually hear. David: I remember that. Sometimes your TV would get scrambled by radio. A lot of times growing up in rural Maine with not a lot of stations happening, but you would hear WABI coming across the radio. The TV stations, channel 5 not just the radio. So that’s an opportunity, with technology, you have more opportunity to get on the actual radio, and a lot of people still do listen to the radio because data is pretty pricey for a lot of people on their phones. I guess that’s the other piece, you can do local FMs, you can go to an existing radio station, community radio station, and you can do podcasts like we’re doing here. Very little investment of your resources except for your time. It sounds like the moral from your story is also: You took a lot of jobs. You take the midnight shift, the 1 o’clock, 2 o’clock, 3 o’clock shift. If you want to get in, that’s what you gotta do, right? Denis: Even now, many people when they hear when I’m on each week, as a volunteer at WERU I still host a show on Friday mornings on-air 5:30 to 9:00. You mention those hours to people, and I always assume most of the world is awake for those commuting to work. But the amount of people who say, “Oh, I’m not up that early to listen to that,” and I think they might be talking about the 5:30 part but then sometimes they say, “not even the 9 AM,” and I think, “Oh, right. So I’m still, after 29 years of doing radio, I’m still not on, I guess.” I thought morning drive was a great time to be on, but I guess to some people that’s still not the ideal shift. Who would wake up at 3:20 every Friday morning to go and do a radio show? David: A lot of people. Denis: In the middle of Winter. David: It’s tough, but I think there’s a lot of people listening. You know, it’s not the new way it’s the old-school way of doing things. Get up in the morning. Get up 4 AM. Get your day started. Denis: Think of those commercial DJs who are on the air 5 days a week Monday through Friday doing the morning show. That might change their life. David: That’s commitment. I find I get most of my best work done at those hours. If I’m up at 4 AM and then I can get working by 4:30 or 5 o’clock, I get a lot of work done. Plus, I can turn on WERU and hear great music. Denis: Yeah, that hour I think a lot of New Age or as soon as you hit 6 we’re into the Americana which I always personally think is one of our best programs. David: One of the other things I noticed in your story that people need to understand is the non-compete, the contracts, the laws, the legal piece of it. There’s a lot in the music industry about that that you gotta watch out for. You said you signed the non-compete to get into the commercial radio station. Denis: That was a little...looking back, I was a naive 24 year-old. Wow it happened was I was hired almost immediately by that station, and it was only after I had been working there I think my sales manager came around and said, “Oh, we never had you sign a contract. Just sign this.” I remember it was multiple pages and on the back page, and I remember as a 24 year-old at your job you’re not really thinking of bucking a system. I just thought it was something I had to do. I think it maybe would allow me to get paid that first week or second week. Denis: I just signed it. With a sales manager standing over you saying, “Sign it to get paid this week,” it seemed like the appropriate thing to do. David: Right, it’s what you have to do. Yeah. And I guess that’s some knowledge to put out there for somebody in the same situation. I have the same things happen in my business in general. David: I do consulting, and I have to sign non-competes. Depending on the situation: Do I need this job right now? Do I need to start next week? Do I really need this? I sign it or I don’t sign it. But the other thing people don’t really realize is that contracts are ammendable. If you have a contract in front of you and it says you’re not going to go to work for another station for the next 6 years or 5 years or whatever the terms are, you can always say, “Let’s change that piece. Let’s change that part.” I think you’d get a lot of push-back, but I’ve been able to do that before: say, “You know, I like this contract, but I don’t agree with this piece.” It extends the time. They have to send it back to their lawyers or maybe the person there can say, “Yeah, let’s press that out.” But it’s just something very important for everybody to keep in mind when they’re taking any type of job. You gotta read the fine print, and be in a position where you’re able to give a little push-back. That’s hard for a lot of people. Like you said, when you’re 24, you need the job, you want to take it, and you’re excited, but there’s some things to keep in the back of your mind. Denis: Yeah, I do remember being young and brash, and when the station that hired me away had said, “Oh, we can’t afford this,” I remember saying, “I’m 24. I’ll get a lawyer. We’ll fight this.” I remember them saying, “No, we’re not going to risk bad publicity.” They could easily find another radio person, which they did. The other station never had to file a lawsuit, I was just dropped. A 24 year-old was fairly expendable at that point. I think what you say is right, and God knows when talking about the music industry how many legal contracts were signed by musicians who signed away their publishing rights all those years ago and the wealth stayed with somebody who didn’t even write the music. David: Right right. I think the lesson or one of the morals is: sometimes you have to get into these situations and sign these contracts because you need it. You need the job and you’re focused on taking that. Maybe if you took a step back a little bit further, so as you’re older, you’re life is more into line and in control and you don’t have to jump at everything. So that’s one of the things I would tell young people. Work on yourself. Get yourself stable so you can be able to do a little push-back to say, “Hey, I don’t like that piece. If you want me, this is that way it’s got to be.” Sometimes that works out and sometimes it doesn’t. Sometimes it’s for the better. Denis: It would have been interesting. They take that out of the contract, I’ll sign it. David: Or ammend it a little bit, you know. Let’s say 25 miles. Let’s say 2 years. Let’s say 6 months. That’s a lot of times what I do with my contracts. I’ve got mine down to where if somebody hires me to do a consulting job and it says, “You won’t do consulting for the next 2 years,” I immediately say, “Well, no, this has to apply to the client that you’re putting me at and for the product you have me on. I agree, I will not go back to your client and try to steal them from you. I will not try to steal customers or steal business from you.” You can always narrow it down, and I think people are usually open to that. To say, “I’ll do a non-compete, but let’s say 25 miles. Let’s say it’s not the same genre. Let’s say, you know, just something different so I’m not competing with with your business.” Companies will sometimes agree to that. Denis: Yeah, I think that would be interesting in the music biz to work on. I can’t imagine right now how negotiations go between record companies and musicians nowadays as everything’s in some ways shrinking in the national music industry. I do wonder if we’re in another age where musicians are signing away a lot of either rights or their independence just so they actually can get one of those rare lucrative recording contracts. The other thing I noticed in your story for local music is I love that community radio plays local music. They play essentially whatever they want to play, and that is awesome. So the question: If I have a band, if I’m a singer, if I have a CD or an mp3 or something out there, what do I have to do to get on WERU? What’s the process? Is there a minimum quality? What do I have to know if I’m a local band and I want to get on the radio? Denis: You know, on WERU I can speak to specifically, and I do talk to the music industry about 3 hours a week. Every Monday midday 11 to 2 I talk to managers, record companies, artists, and radio promoters because that’s a weekly thing you have to do as a music director to let people know the status of their new releases. We are similar to many stations. Every station’s different, but we’re unlike some community radio stations or non-commercial stations in that we don’t have quotas. Many stations like us, as a way to make their DJs play even more new music or more names they haven’t heard they might say, “3 times this hour you have to play a CD from that bin there or one of our new artists.” WERU doesn’t have quotas and that’s both good and bad. We have many DJs who will only show up and play what they’ve already said they’re going to play. They’ve kind of mapped out their show in advance. That’s increased over the last ten years, and it’s not my style of being a disc jockey. Sometimes I think it sounds more like being a syndicated radio show host. You have a program that you’re playing from start to finish, and you just pause it when you talk and press press play and let it play again. To me that’s not being a disc jockey, spontaneous in and of the moment. Then we have a lot of DJs, and most of them are those who have been here longer than the last ten years, they are more responsive to doing their show on the fly in the minute, going to grab a request or going to grab something that looks good in the studio. We mark all local Maine musicians’ albums with a blaze orange sticker so that if they’re from or live in Maine, their CDs on our shelves, both in the studio and in our library, stand out. Some of our DJs, obviously to be totally honest, they don’t care. They’ll never look at those CDs. They’ll never play them anyway. It’s not a name they recognize. But many of our hosts, and I don’t know what the exact statistics would be, they see that and go, “Oh, here’s somebody from Maine. Let me check it out.” It’s kind of our responsibility to play musicians from our state because if we can’t, who can? But as far as your question about how to get your music here with the greatest chance of getting it on the air, and this just speaks to who we are as a radio station: We get about 100 CDs a week from the overall industry which seems like a lot, but it is true. It may be a little less over the last few years possibly, but I think in the course of a week if you add up everything we receive, it’s somewhere between 80 and 100 a week except for the few weeks between Thanksgiving and Christmas when the industry goes on vacation. But if you’re a local musician, and you’re sending your album here, that is really the most efficient way to get it recognized by us because here in the music department I will open up, personally, the envelope or the case and find it inside. We’ll keep them all here in some sort of priority. We’ll listen to them as we go, and we’ll pick some out to prioritize. But having it local right from the very beginning I mark it so that everybody through the whole system and process knows this band’s from Maine, and I will write on the blaze orange sticker they’re from Rockland, they’re from Portland, she was born in Norridgewock, those kind of things which make good DJ patter but also might make somebody play it if they’re debating it. One problem though, and I feel bad saying this on the air but I’ve tried to personally get it out there, just because of the station we are a lot of time people have sent us CDs in an envelope. Just a CD. Or a cardboard sleeve with no spine. I hate to say this, they’re being very ecologically sound by not using plastic or much material at all, but just because of the sheer volume of music we receive, I feel bad saying this because on a shelf in back of me we have six years worth of albums we haven’t been able to get to yet of albums sent in that condition. Without a spine, when you’re this kind of radio station, no matter how good your album is whether it’s in a Digipak that you pay for or if you create something in a jewel case, if it doesn’t have a spine, our DJs who are receptive to playing new music will never see it on the shelf. So that’s something I, personally, have told everybody who’s interested in sending music here. If you’re a local musician, just make sure there’s a spine on your album. Some DJs also would rather it has track times and an easy to find track listing on the back. Those are simple steps that some people never think of. That all helps. It seems sometimes that the more genre-specific you are, the better. Something that’s a little more niche gets sometimes more play here than just an overall rock band, but that’s up for grabs. It all depends on what DJs like. As far as local musicians sending in their music it is CDs. Unfortunately, the radio station is not yet anywhere near having a system to accept electronic files in a way. We have nowhere to store them. We have no way to play them back on the air efficiently. There’s no system. So individual DJs might play digital files on the air from their collection or that I’ve forwarded them, but the station will never have that digital file, song, or album in any system. Denis: I do feel bad saying that because I know to many musicians it might seem cost-effective to just record their music digitally and email it in. Sadly, at this stage, and I’ve been the Music Director here for over 8 years now, that will sit in an inbox, it will never get opened, and nothing will ever get done with it. So, for now, it’s definitely a CD with a spine. David: Definitely, yeah. So I’ve seen your studio there, and I’ve seen those racks and racks of CDs and I understand that. It’s like a library catalogue. You gotta have your CD out there, and it’s got to be a little catchy, I guess. It needs to be a little attractive with some artistic energy into it, I guess. Just because people like to see a good picture. Denis: Full frontal. Completely naked standing there. I thought to myself...the irony is that it came in a cardboard sleeve so it could be a while before we get to anybody making a jewel case for it. But if that goes in the studio with that cover, is that going to ward people off or will it make them check out the CD and listen to it more? It’s a very good question. I’m sure Amanda thinks people will at least check it out a little more. Denis: Who dares do this? What does her music sound like? She must be artistic. David: Right right. I think also just having a little bit of quality, you know. I don’t think you have to spend a lot of money to get good cover art or a good look. Hire a high-school kid or find a friend or network a little bit to get some quality that people will see this CD cover and say, “Yeah, this looks professional.” I think that goes a long way. Looking professional can, I think, get you further along than a lot of people know. Denis: I think your albums. They’re EPs. Full disclosure, when they arrived at WERU, they met the criteria. They were easy to see. I think I spotted them on the shelf and said, “Oh, this sounds like the music we play on the air.” It was easy to read. I’m assuming you had track times, probably, but I think you did. Denis: And the song titles were right there on the back of the disc. You didn’t have to go looking anywhere. Sometimes you have to open lyric booklets, or there’s no track listing anywhere on anything. I think it helped, and it made other DJs check it out. I think you’re right. I think what you’re saying is something that local musicians could help themselves with is making sure the finished product is DJ-friendly and not necessarily the cheapest or most ecological way to do things. David: Right. You know, my first CD, I think it looks professional. It looks like a CD that a record company may put out, but it wasn’t expensive because, that first CD, I networked a lot and worked with a big team of friends who do things on the cheap for me and volunteer their time and were just excited to help me get something out there. So I think your CDs can be professional. You just gotta put a lot of effort into finding the right people to help you. It’s a lot of fun though. Denis: It is, and local musicians have just as much chance to get played here as - each week I talk to the promoters from all around the country who have sent their artists in who have hired them to promote their record. Many of those arrive without a spine. Not a majority, but many arrive without a spine or without track times or without a listing on the back. I see it each week because those promoters wonder why DJs here aren’t playing their artist. I think sometimes it’s because there was no spine. We’re not creating anything for it yet. Other times it, like you said, just doesn’t have appealing cover art. It doesn’t look very professional. It looks like it was tossed off haphazardly. The music might even be good, but I think the snap judgements made by DJs are: Oh they couldn’t even spend much on that, how good is their music going to be? David: Sure, that’s just a natural human reaction, I think. So you take just CDs. I know there’s a system out there, I think it’s called DMDS, where you can digitally distribute your music. I tried that with one of my songs. Of course, it doesn’t go to community radio. I don’t know that it actually helped on the bigger radio stations either because if you don’t have the promoter, if you’re not networked in, like you said, those emails sit in somebody’s inbox. I’m sure they get thousands of them a week. Denis: I’m looking right now at the WERU email that’s unread. 64619 messages. Denis: Now I try to jump on anything important, anything business related, anything I have to do for the music biz. But as a part-time Music Director 20 hours - because 20 hours of the week I’m raising money through businesses to keep this radio station on the air - with only 20 hours to do music each week and a host of volunteers who help me behind the scenes, I really only have time each week for opening the mail, reading the one-sheets that come with the CDs, counting the new spins that were played in the last 7 days, talking to the music industry for a few hours, doing the few airplay charts that need to be created, send out the results to the music industry, and that’s the 20 hours each week. So sadly, this is indicative that I’ve never had time to go into emails and open email messages from the music industry. In those 64620 messages - it goes up by the second almost sometimes - most of those are mass messages sent out by record companies, promoters, or artists, but some are even personal messages from musicians saying, “Did you get my album? Did you play it? I’d love to come to Maine and do a show.” Sadly, there’s just not time to ever even open those. I would feel horrible in my personal life if I wasn’t responding to messages like that, but there’s just no time to do it. That’s why, like you said, sending a CD - we can’t deny when I open that case that somebody mailed us that disc. It’s here. We will deal with it. It’s in our hands. As you just heard, and I’m sure I’m not the only Music Director who will tell you this, I just never will have time to open email messages and find an mp3 or a download link. Just it’s the way it’s set up right now. I’m not saying that won’t change at some point. But what you mentioned as how you sent out your music, I’ve never heard of that system. I know that the industry each week tells me to go to something called PlayMPE to get the brand new single by this big name. Our station does nothing with that, and that has become the digital standard for most of the music biz from what I can tell. There’s also something called AirPlay Direct which a lot of Americana musicians tend to use more than anybody else. But, once again, we don’t do anything with that. I’ve given the links to certain DJs here and said, “Feel free to grab something you like from there if you want it for yourself,” but the station has no way to use it. Sadly, what will happen is if you are just mailing digital files to this radio station at this time, you’ll never get critical mass enough to get enough airplay to ever be on airplay charts. You’ll never be a name on the list of DJs or nobody will ever hear your music because, guess what? We’ve got 100 new CDs staring us in the face each week. We’re gonna grab those and play them on the air. David: Right, they literally have more weight. Denis: Right, they just literally - they’re hard to ignore when you have a shelf of new music and you’re looking for something to play on your show. Are you going to dive through email and see if somebody sent you something you might want to check out? David: So, we’re hitting our time here. Anything else you want to mention about what’s going on with WERU or with you in general? Denis: I will say WERU - I do think we do a very good job of including local music in our broadcasts. I think I used to have a more optimistic view maybe when I was a Development Director, and I wasn’t so involved with the music here. I think I thought more DJs played local music on every show. If somebody had a local gig we’d all mention and play it. I think that’s been a harsh realization as Music Director, and maybe things have changed, we’ve got new volunteers who maybe don’t know that’s how it used to be. But there’s many good disc jockeys here who kind of look at posters, see who’s coming to the area who’s got a gig, might play it, might mention the gig, and want to support local musicians. I do think we could improve. I think there are many shows where they could include a local artist, and it would fit in with what they’re playing. It would really make their show even more relevant. Surveys are telling us our listeners would love more live music and more local music. So it would behoove us to be even better at including local music on shows. We do try as much as possible. Just this week - yesterday when I completed the airplay charts for this week and discovered who the top 5 artists are of the week - a group out on Northhaven is in I think 2nd place this week. 3rd place? Baitbag, a trio of riot girls from Northhaven got more airplay here this week than The Decemberists. So it is possible for a local act on WERU to still get more airplay than national acts, and that gets shared by me with the entire music industry. Everybody sees that when I send that out that WERU is playing Baitbag more than The Decemberists. So I’d like to think, in our own way each week, we’re helping the local music industry by making the rest of the country and the world aware of these artists that we’re playing. David: Awesome. And I notice also online you have Opera House Video which also seems pretty old-school. David: Right. [laughs] I think it’s still a very viable business, personally. I think the idea of Blockbuster, of course you see why they went out of business. To do this nationally, there’s too much competition. You can’t hold that market. But I still think, from what you’re saying, there’s a big local market for this type of entertainment for a gajillion reasons. Every once in a while we go over our budget and look at our monthly charges of stuff that we subscribe to. We don’t have cable or satellite here. We do everything through the internet. Eventually as a couple months roll along we’ve signed up for Hulu, and we want to watch this so we signed up for Amazon Prime, and we signed up for Netflix or we signed up for this. It just builds up and builds up. Then every few months we just purge them all, and say, “Let’s just go get some videos from the video store.” Because it gets expensive, you know. It’s not cheaper to just go online. I think it is more cost-effective to just get your videos at the video store. Denis: I do think what was the original blow to the kneecaps was when netflix was first created and it was the DVDs by mail. I think to true movie lovers that definitely seemed like a much more affordable option to avoid late charges and have three at a time sent to you. When you’d send them back the next thing would be sent to you. Even then, people were coming in and saying they didn’t have the patience to wait for it to arrive, so they would still rent something that night. But I think that was the biggest blow. I would agree with you that streaming, even though the world would say that is way more popular and profitable, I do think that has never been the death blow that perhaps the original Netflix by mail was for all the reasons you just mentioned. I see people return who say they cancelled Netflix because they couldn’t find anything or they saw Handmaid’s Tale on Hulu but there’s nothing else they want to watch or especially Amazon Prime they say, “Wait a minute. I have to watch it within a few days if I buy this title and it was $15 for the new release? What?” And I don’t want to be arrogant. I know there’s nothing that says next year at this time we’ll be there. The world’s changing all the time, but I agree with you. I think that 50% of the customer base worries about money. If you become a customer somewhere, I think half the people are doing it because of money alone. So they’re going to go where the cheapest option is. I do think Netflix by mail and streaming options got people in the thought process that that was a cheaper option, but you’re right. As costs rise, and as you just referred to about your family looking at your monthly expenses, and with the imminent arrival of a Disney streaming service on the horizon and multiple others competing, at some point will people be spending money on every single streaming service out there? It might be nice. If you don’t watch much a month, a $4 rental might seem a lot more affordable than, like you said, those monthly subscriptions. So I don’t know how it’ll shake out. But I think half the people are coming for the experience, I’d like to say, and the price really doesn’t matter to them, and they just shrug off any amount of late charges because they know that helps keep the store there. They’re getting what they want to watch, and they like this experience far better - touching the case, looking at the back, reading who’s in it, seeing how long it is, that feels more tactile. They’re going to choose it no matter what. But I do think 50% are by cost, and that’s cheered me a bit to have people realizing, like yourself, that actually cost-wise it might sometimes be cheaper to just rent what you watch instead of paying for the potential of stuff that you don’t watch. David: Right, and do you still do free popcorn on Friday nights? Denis: [laughing] That is very true, and it’s made fresh right there by the employees. They make it on a Friday night and give it out. They usually make enough that like the first customers on Saturday morning get the leftovers. But yeah, we do that. I got that idea when I was in Tucson once. By then, Netflix streaming was beginning. I was in Arizona and I was in a video store and I saw a line snaking around the store all the way out the door. Granted the weather was a lot warmer, it was in February. I said, “Wow!” because already I’d heard about the death knell to video stores. This was 2007, so streaming was definitely beginning and Netflix by mail had been around for years at that stage. I remember being in this big city and wondering, “Why are there so many people in line? This is incredible.” I looked around the store and saw they had a Susan Sarandon section, a Tom Cruise section, I thought that was an interesting way to do it. They grouped by actors too and director. But then I realized, “Oh, they’re all in line because there’s a popcorn machine and they’re getting free popcorn while they browse.” So I came back and told the owners at the time, and they loved that idea. Right. You’re not going to get that from your online provider. David: That’s right. That’s right. Well, thanks, Denis. I’m really glad you joined me today. Don’t go away, I want to chat with you a little bit more, but I’m going to wrap this up. So this has been Denis Howard from WERU Community Radio 89.9 FM. Check out their site. We’ll have the links posted in the podcast. Also Opera House Video in Belfast, Maine. What’s the address there for the video store? Denis: We’re at 109a Church Street. We’re across from the police station and next to Left Bank Books. David: Alright, so check them out for your video needs. Kick out Netflix. Kick out Hulu. David: I’m gonna do it. David: Thanks for joining us. This has been the Local Music Podcast. I’m your host David Scott Norton, and I will talk to you all soon.